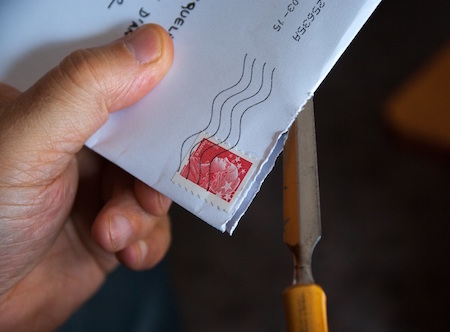 In Colorado, evictions are sometimes referred to as “Forcible Entry & Detainer” (FED). A landlord must carefully follow all the rules and procedures set forth by Colorado’s rental law when evicting a tenant. Failure to do this and the eviction process may not succeed. “Self-evictions” are illegal in Colorado. This means you cannot lock out the renter, terminate essential utilities or services, take out the tenant’s belongings, or threaten the tenant. As a Denver real estate & property management company we are familiar with the Colorado eviction laws and process. 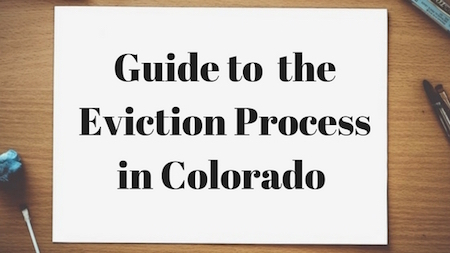 So, to help you out, we put together an overview of the proper procedure you must follow when evicting tenants in Colorado. Normally, in Colorado, you must have a legal reason to evict a tenant. If you don’t, you must wait until their lease expires. If the renter doesn’t move out, you can file for their eviction in court. A tenant who doesn’t move out after their lease expires is also known as a holdover tenant. In order to evict them, you must not accept rent payments. If you do, the previous lease term will renew automatically and the tenant will continue to legally occupy the rental property. For a fixed term lease, you must wait until their lease expires if you don’t have a legal cause to evict them. In this case, a notice isn’t necessary as the lease terms are expressly stated in the lease or rental agreement. You may, however, serve them with one if the lease specifically requires it. If you don’t wish to evict them, then you have two options when the lease expires. The first option is to extend their lease for another term. And the other option is to change the terms to a month-month lease. For a month-to-month tenancy, you must give the tenant a 7-Day Notice to Quit. According to Colo. Rev. Stat. § 13-40-107(1)(c)), it informs the tenant that the tenancy will expire in seven days. If they don’t move out after the seven days, you can file for their eviction in court. Colorado rental laws state, if the tenant hasn’t paid rent or has violated other lease terms, you must serve them with a 3-Day Pay or Quit notice. As per Colo. Rev. Stat. § § 13-40-104(d) and (e)), the 3-Day notice gives the tenant two options. The first is to pay due rent within the three days. The other option is to vacate the rental premises. If the tenant doesn’t do any of the two, you can begin their eviction by filing an eviction lawsuit in court. You can also evict a tenant who engages in more serious violations. Serious acts may include drug-related activity or violence toward other renters. As per Colo. Rev. Stat. § § 13-40-104(d.5), you must serve the tenant with a 3-Day Quit Notice. Unlike the 3-Day Pay or Quit notice, the 3-Day Quit notice doesn’t offer the tenant an option to “cure” the violation. The renter must move out. If they don’t, you can begin their eviction by filing for their eviction in court. Provide the notice to the tenant’s family member who is at least sixteen years of age. 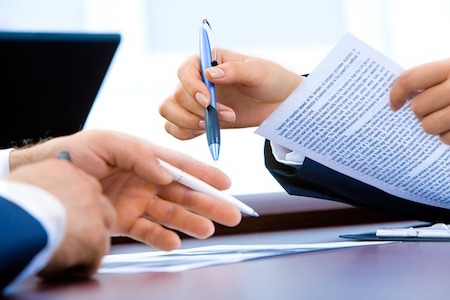 Deliver the documents to the tenant’s place of work. Leave it in a conspicuous place on the property, if the renter isn’t present. The aforementioned forms will be available in the clerk’s office. Once they have been filed, the court clerk will then give you a court date. Typically, the court date is around 5-10 days after an eviction lawsuit has been filed. Next, serve the lawsuit on the renter. You could also ask the clerk if it’s possible for the sheriff to do it instead – it’s recommended. As you await the court date, gather as much evidence against the tenant as you can. 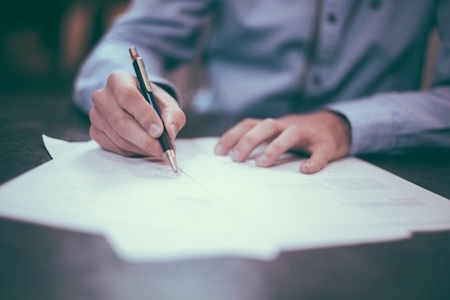 Among other things, you must remember to include a copy of the lease, a copy of the 3- Day Notice, and proof that the proper procedure was followed when it was being served. If the tenant fails to show up, you’ll win by default. The judge may also award you the monetary damages as well as award you with a Possession Judgement. If the tenant does show up, the judge will give each party an opportunity to present their case. The eviction is in retaliation. The landlord failed to keep the property in habitable conditions. The landlord failed to keep common areas safe. The eviction is based on discriminatory grounds. Supposing the judgment is in your favor, the judge will give you a Possession Judgement. A Possession Judgement is an order that determines who is entitled to possession of the property. If the tenant doesn’t appeal the decision, they will have no option but to vacate the premises within 48 hours. But if the tenant chooses to appeal the eviction, then they must file a notice of appeal in the district court within 14 days after the initial judgment. It’s also mandatory that the Colorado tenant file an appeal bond. An appeal bond, for eviction cases, is usually the monthly amount of rent. As per the C.R.C.P. 411(1); C.R.S. § 13-6-311, the court must discontinue all further proceedings and recall any executions issued to enforce the previous judgment. A Writ of Restitution is what allows the sheriff or a police officer to evict the renter out of a property. After this is issued, the tenant will have 24 hours to move out or be forced to move out. Colorado is a “loser pays” state. Thus, the tenant must pay for attorney fees and costs for evictions. See Colorado Revised Statute 13-4-123 for more information on this. You may discover that the tenant has left behind their personal property after an eviction is executed. Under Colorado eviction laws, the property left behind is considered abandoned. This is unlike most states where the landlord is required to contact the tenant. However, if you choose to store the property until the tenant claims it, Colorado rental law allows you to demand the costs of storage. You won’t be held liable for any damage that occurs as a result of handling their property. See Colo. Rev. Stat. § 13-40-122 for more info on this. This information is only meant to be informational. For specific questions, please consult a qualified Colorado attorney.